[S302] Douglas Richardson, "Mary Cooke Talcott." [S635] William Wyman Fiske, "Bennet Eliot." Clyde and family were enumerated in the household of his parents in both the 1900 and 1910 censuses of Windsor, Ashtabula Co., OH. Bertilie Main was born say 1878. He was the son of Henry Main and Caroline Holcombe. John King II was born on 4 June 1728 at Suffield, Hartford Co., CT.1 He was the son of John King and Parnell Holcombe. John King II died on 15 February 1751 at age 22. Caroline King was born on 24 June 1734 at Suffield, Hartford Co., CT.1 She was the daughter of John King and Parnell Holcombe. [S622] James N. Granger, Launcelot Granger, page 105. Asenath King was born on 4 July 1739 at Suffield, Hartford Co., CT.1 She was the daughter of John King and Parnell Holcombe. Diana King was born on 12 April 1742 at Suffield, Hartford Co., CT.1 She was the daughter of John King and Parnell Holcombe. Eusebia King was born in June 1747 at Suffield, Hartford Co., CT.1 She was the daughter of John King and Parnell Holcombe. Alice King was born on 29 March 1750 at Suffield, Hartford Co., CT.1 She was the daughter of John King and Parnell Holcombe. [S305] Marietta Case Nelson, "Lucius Case," e-mail to James H. Holcombe, 1 Feb 2001. [S182] Social Security Death Index (on-line), Ancestry.com, SSDI, Ancestry.com, 242-44-0503. 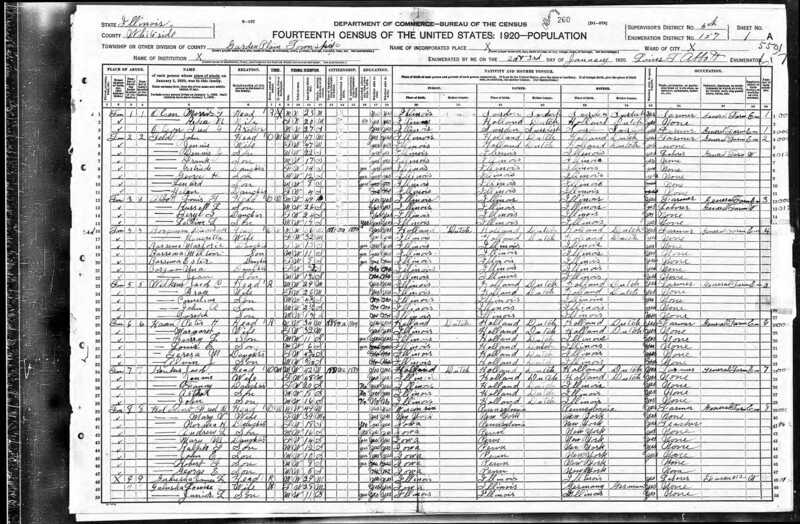 [S39] 1920 Federal Census, unknown repository address, Year: 1920; Census Place: Garden Plain, Whiteside, Illinois; Roll: T625_413; Page: 1A; Enumeration District: 157; Image: 1103. Ancestry.com. [S182] Social Security Death Index (on-line), Ancestry.com, SSDI, Ancestry.com, 374-38-8834.